Thursday, June 15, 2017 by: Isabelle Z. (Natural News) If you want to see just how quickly drugs can plunge a beautiful and thriving city into desolation, look no further than Baltimore. On the surface, the city has plenty to offer, with lots of history, a lovely harbor, diverse entertainment options, and top research and medical facilities. However as opiate addiction has spread throughout the city over the past several years, it has turned it into a place that is no longer befitting of its nickname, Charm City. In fact, a more suitable nickname would be The Heroin Capital of the United States as the city now has the dubious honor of having the highest per-capita rate of heroin addiction in the nation. Of the city’s 645,000 residents, it is estimated that around 60,000 are drug addicts and 48,000 of these people are hooked on heroin. While the problem is not new to the city, it has gotten progressively worse in recent years. In fact, a report by High Intensity Drug Trafficking Areas (HIDTA) program notes that one out of every ten Baltimore residents takes the drug. Last year saw more than 300 fatal heroin overdoses in the city and almost as many hospital emergencies related to heroin use, and the problem is only expected to get worse. In the video “Baltimore’s Opioid Experience,” a quick drive through the streets of East Baltimore is all it takes to show just how much this addiction can devastate entire communities. The streets are lined with boarded-up row houses and warehouses, with graffiti on every corner. While everything else is empty, the Turning Point Clinic, with a sign proclaiming “No insurance? No problem!” appears to be a hub of social activity, with people lining up outside, conversing over a cigarette as they try to resist the urge for a hit. These images are overlaid with statistics illustrating just how bad the problem is, like the fact that fatal overdoses rose 66 percent from 2015 to 2016, according to Maryland health officials. The illicit opioids heroin and fentanyl were responsible for most of these deaths, and more than a third of those who died of overdoses in the state did so in Baltimore city. The video is aptly book-ended with images of cemeteries, one of the few businesses besides treatment facilities that seem to be thriving there now. It’s not just the addicts themselves and their families who are affected by opioid use. Living under these conditions is also soul-crushing to those who have not succumbed to addiction. 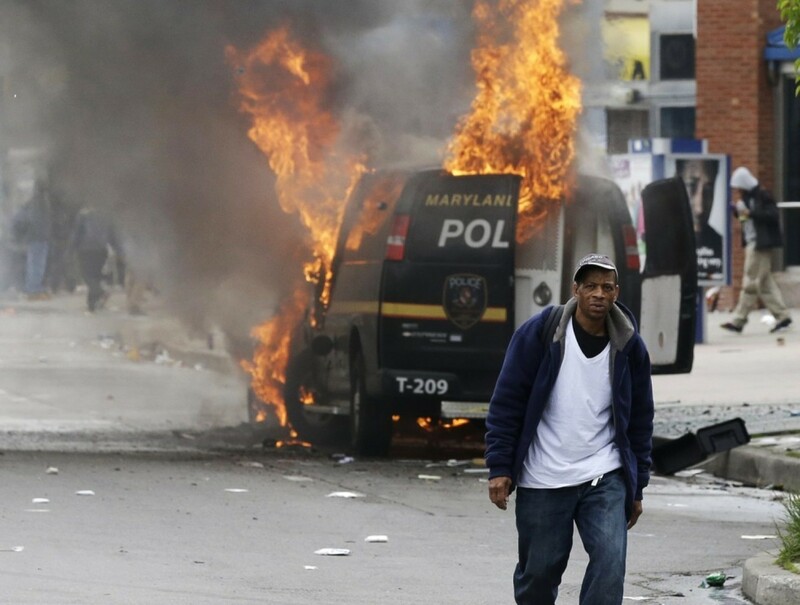 The desperation of Baltimore’s residents was clear in how easily the situation managed to escalate after Freddie Gray died in police custody there in 2015 and riots overtook the city. American’s opioid epidemic is getting out of hand, and a lot of the blame can be pinned on Big Pharma. In fact, abuse rates of opioids started to climb after the introduction of several powerful opioid painkillers about 20 years ago. Giving doctors incentives for prescribing them and marketing them aggressively has put us in this situation. More than three quarters of all new heroin users were first addicted to prescription painkillers like Oxycontin and then driven to the street version after stricter limits on their prescription were eventually put in place. Overdoses on opioids have now overtaken gun-related deaths in our nation. As recently as 2007, deaths from firearms outnumbered those from opioids by a margin of about five to one, but now the the situation has completely reversed – and then some. As this problem continues to spiral out of control, more and more cities will end up looking much like the East side of Baltimore in that unsettling video. Water bills spiraling out of control across the U.S.